The majority of pallet rack structural failures result from just three sources – know them, and most of the rest takes care of itself. Those include (1) impacts from a lift truck collision; (2) Misuse and overloading (3) Lack of comprehension that racks can be dangerous, and the lack of a safety oriented mindset. Really, the focus is on #3 gets you to #1 and #2. Operations with a safety mindset will also understand that impacts are deadly, and they know how to safely load their racks. 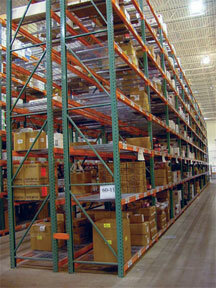 Check out “When Racks Collide” for more information on protecting your racks. Know how your rack will be used when you spec it. 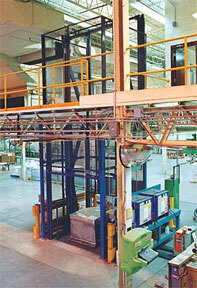 “The two main rack safety points are the proper initial design of the structure so it doesn’t collapse, and proper training of personnel to ensure a clear understanding of the structure’s operational characteristics,” said Rack Manufacturer’s Institute (RMI) President John Nosfinger in a 2008 Modern Materials Handling article. If you inherited the pallet rack in your operation from someone else, find out the details of the rack system and its design. File that so that anyone can access it, and enforce your capacity ratings so that your racks will not be overloaded or mis-loaded.